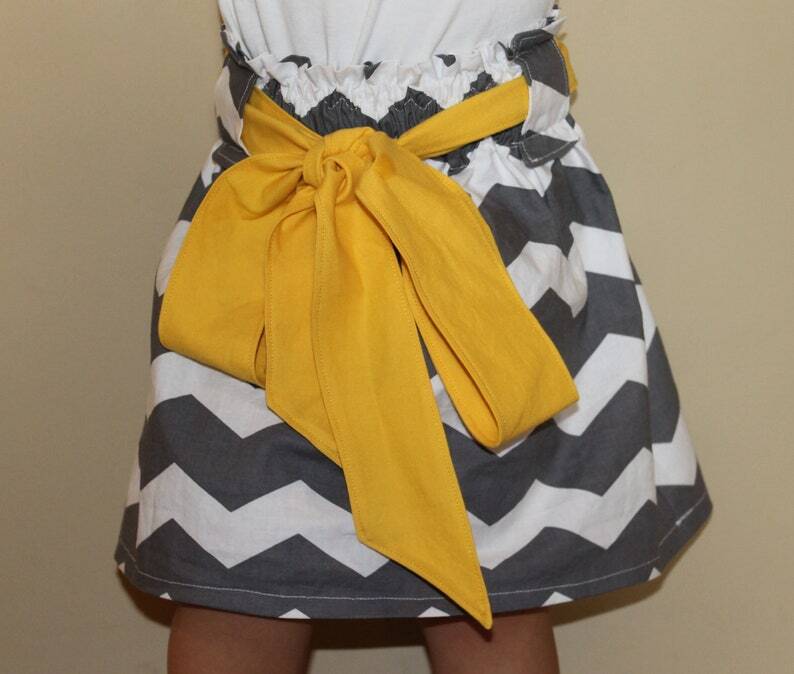 Top selling Big Bow Skirt in a fun and trendy gray and white chevron print. The sash can be made in the color of your choice - pictured here in a "perfect for fall" golden yellow. Pair with legging and boots for cool weather casual or dress it up with tights and flats! Machine washable. Waist band is 2 inch elastic (1.5 for 2T and 3T). 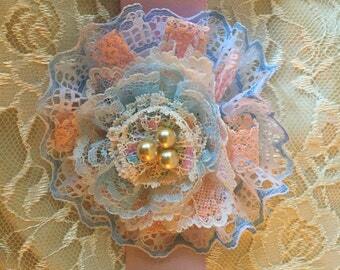 Made to order - please specify size and sash color when ordering. Available in girls sizes 2T to 8. For larger or women's sizes, please place a custom order. Fabric is prewashed, seams are finished with a serger, and all garments are handmade in my smoke free home!